59 Liberty Street condominiums have been built with standards for modern buyers. With everything someone might need in order to commute to NYC, this home is perfect for a first-time homebuyer, or someone interested in downsizing, or really anything in between. Let's walk through the home together. I have not found the layouts of other condominiums to optimize space like that of 59 Liberty. This type of efficiency really began after 2005 in these types of new constructions. With a 2010 build date, this home is well within the time-frame where the builders squeezed as much out of the layout as possible. Upon entering this complex, the well-maintained and manicured grounds match modern expectations. Many of the units have a two-bay garage door, adjacent to the front door of the unit. There is also guest parking near the unit. Upon entering the home's front door, there is space for hanging coats, and building mud-room-features, near the garage entrance. The garage has no pole in the middle of the space, so two cars can fit comfortably. There is also some storage behind the garage on this level. The staircase leads you upstairs into the main living and entertaining space. There is plenty of natural light filling the living room and dining room up like a warm day. The hardwood floors radiate and dissipate this light making everything feel brighter. The dining room also has sliders that lead to your private balcony/deck, great for summer evenings or storytelling with the family. The kitchen, well-designed for the space, features granite counters, stainless steel appliances, and a window that showers the newer cabinets in light. The deep stainless sink, and ample counter space really round out this space - your home's center. The clean half-bath on this level and two large closets make this floor ideal for the future buyer. The upper level, up one more flight of steps has a large hallway that features a closet with stacked washer/dryer units, and the two bedrooms and a full bathroom. From here you can also access the large attic through a pull-down staircase. 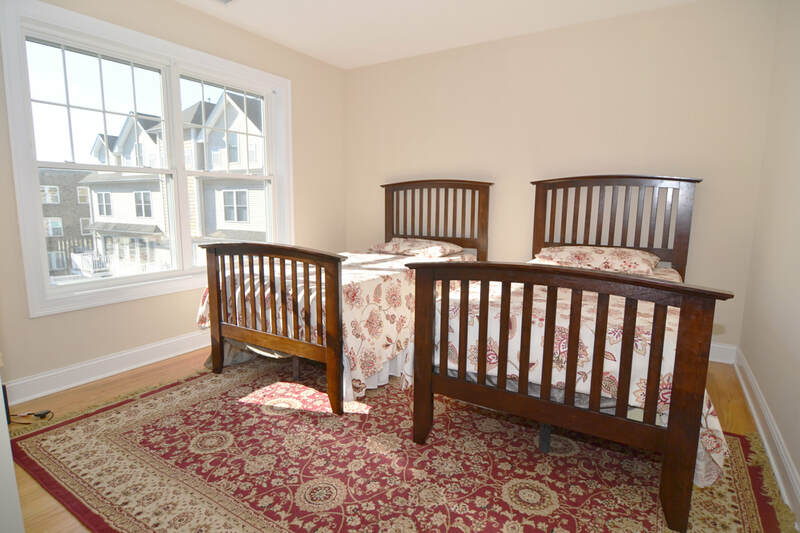 The bedrooms are both bright with those same large windows that are prevalent throughout the unit. They are both large and comfortably fit a queen bed with furniture. The bathroom is in excellent shape as the rest of the unit. Last but not lease, and not to be overlooked, the home has central air, blown hot air fueled by gas, and many nice features that create a space that won't become outdated for decades. 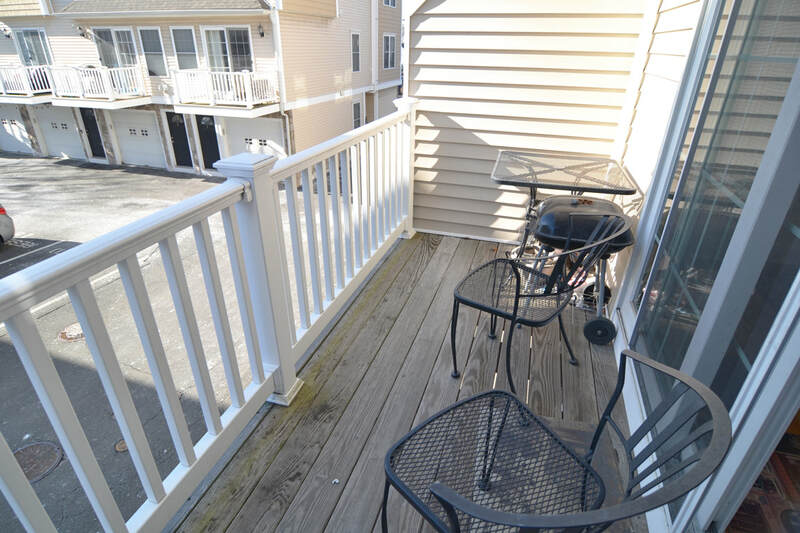 This condominium has everything today's condo buyer is seeking, at a price and common charge amount that is unbeatable in Stamford. 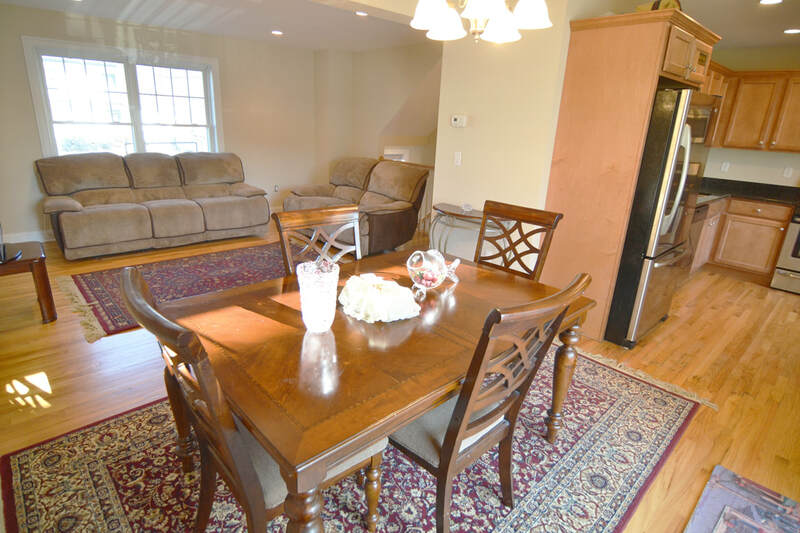 Located close to the hospital and a walk to downtown and the train, it is the commuter's dream. At least you know that here you will get everything 2010 or later - something to put those worried about high-maintenance living at ease.